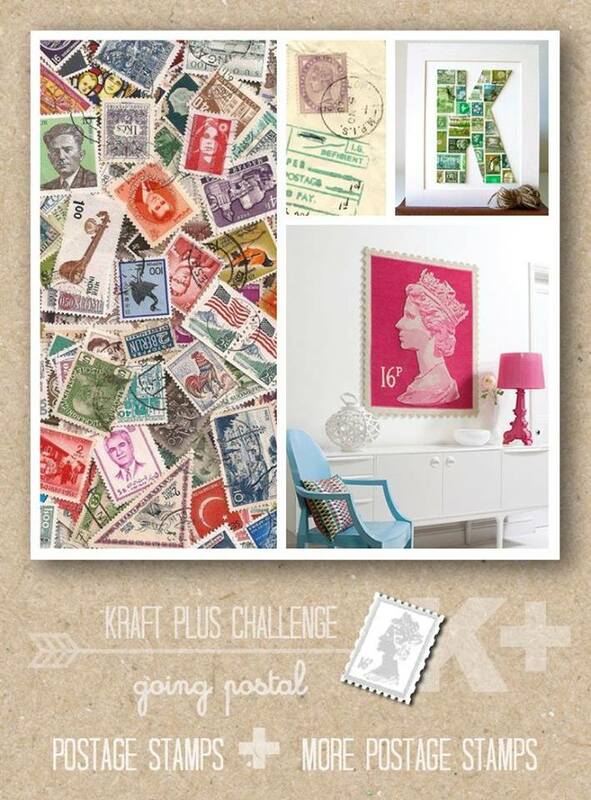 and there is a new Kraft + plus challenge. 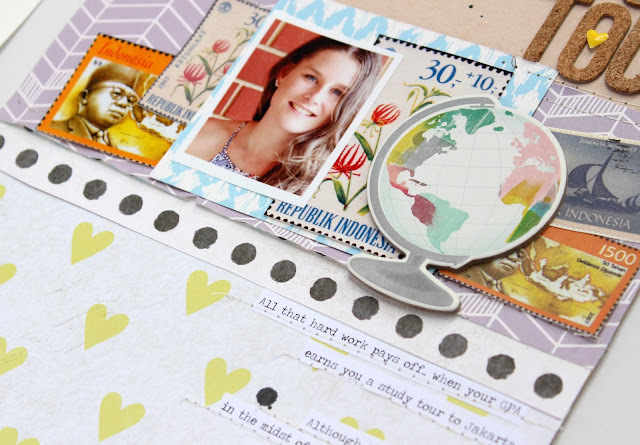 This month the challenge is called "Going Postal"...and its all about stamps. What a perfect opportunity to scrap about my babies trip to Indonesia with the Uni. 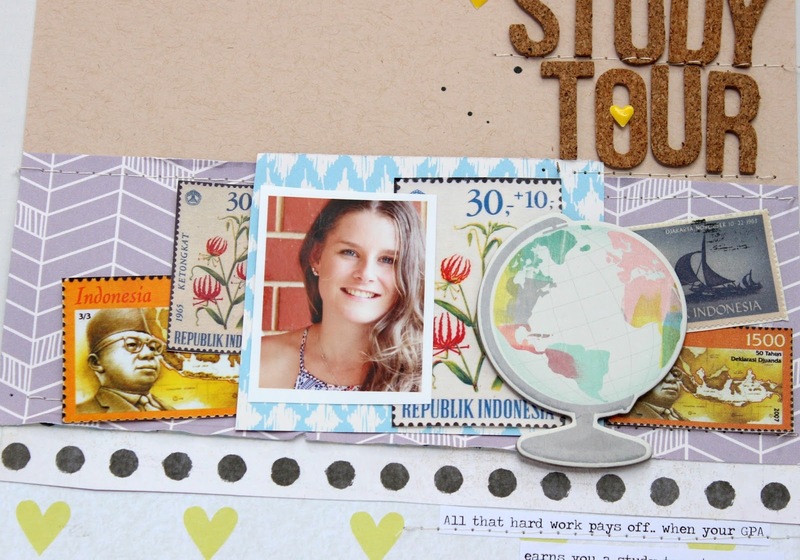 Lets just say it was the trip of a lifetime.... such highs....and a few lows.... including some frightening times in Jakarta during the week of her stay. I used a Hip Kit Club Kit.... and some prints of Indonesian stamps that I sourced from the web. I loved how it came together....so simple. 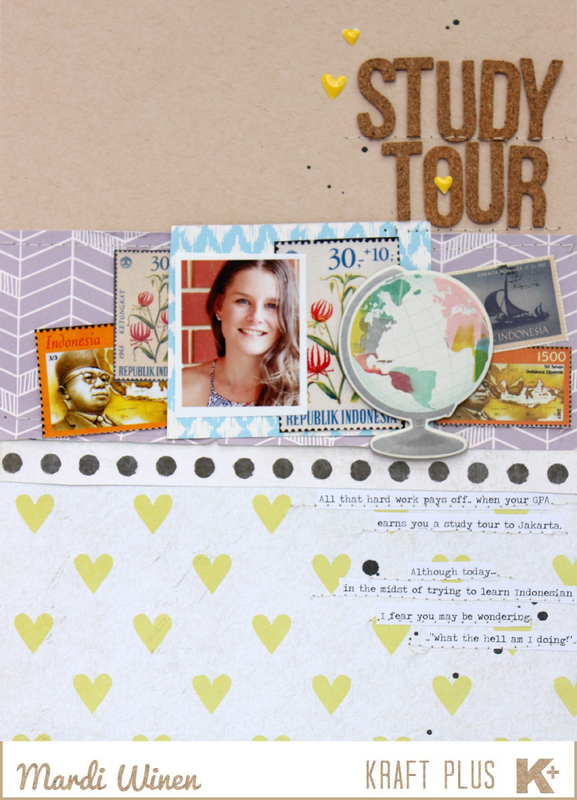 Here is the mood board and details .... we would love you to play along. Lovely inspiration, plus I didn't realise that you could use just a little bit of Kraft so that will be handy to know for future challenges. Beautiful picture and elements. I think the Kraft+ challenges are the most 'challenging' challenges I have ever done...I always have to think hard on them.